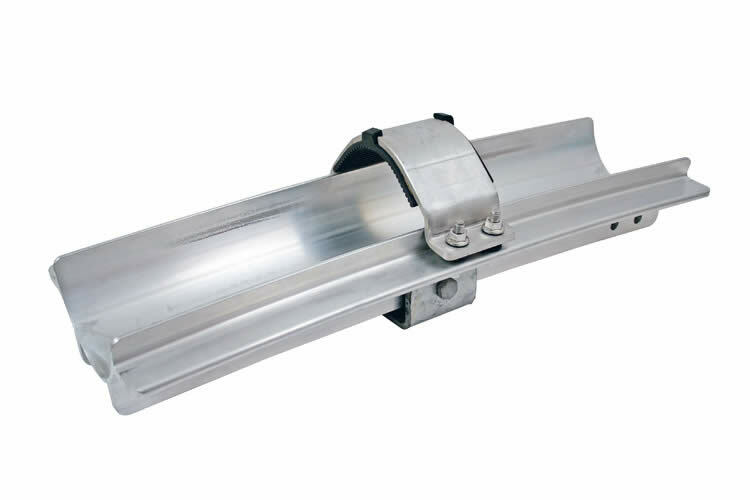 Heavy Duty Aluminium Cable Saddle, for cables in single and trefoil formation. 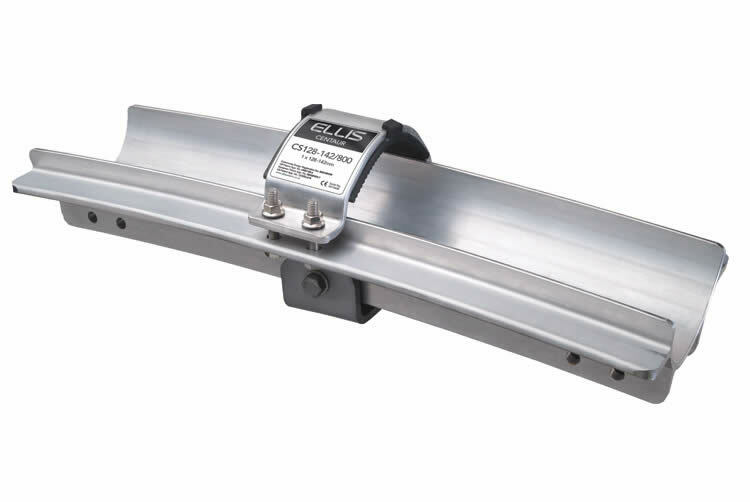 The Ellis Centaur cable cleat has been designed, developed, tested and manufactured in accordance with IEC 61914 (cable cleats for electrical installations). 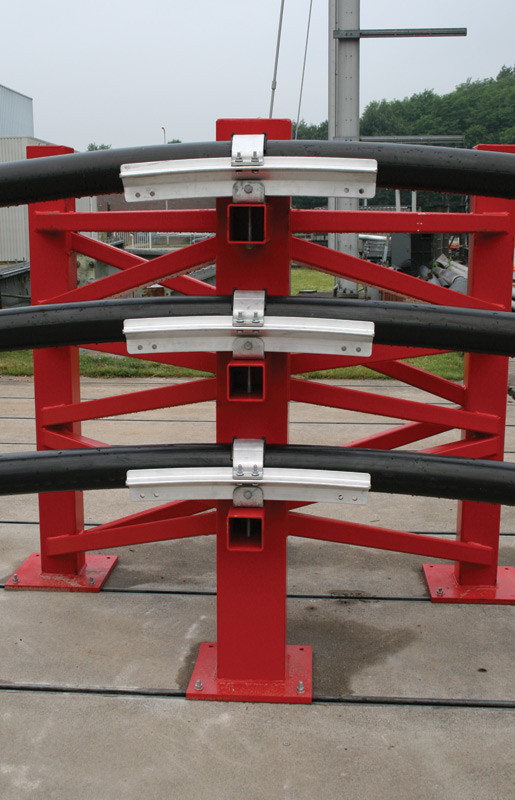 Centaur cable saddles are designed to support cable with diameters from 100mm to 162mm. Centaur consists of an extruded and pressed aluminium saddle and a hinged aluminium over strap. The curvature of the saddle accommodates the thermal expansion of the cable and the ends of the saddle are flared so the cable never comes into contact with a sharp edge under any circumstances. 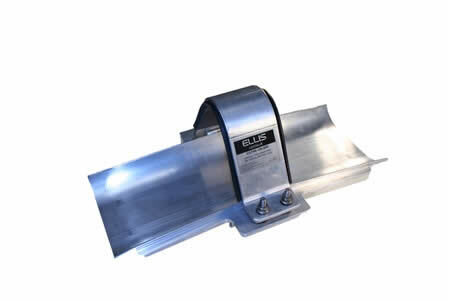 The over strap incorporates a low smoke and zero halogen (LSOH) material liner. All the fixing bolts are grade A4-70 stainless steel. To eliminate the possibility of galvanic corrosion all dissimilar metals are isolated from each other by injection moulded separation washers. 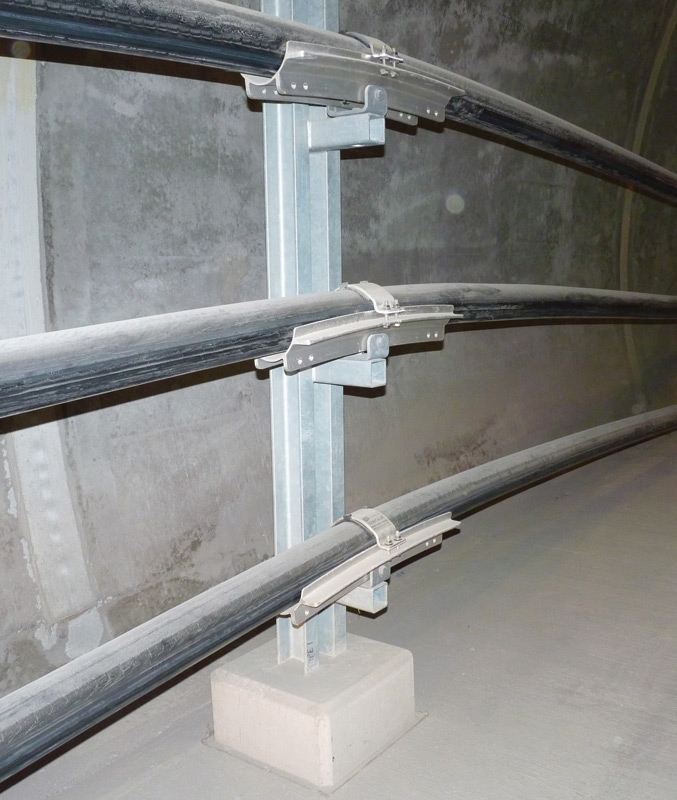 Centaur saddles are available in lengths of 400, 600 and 800mm to allow for different cable diameters and mounting centres. 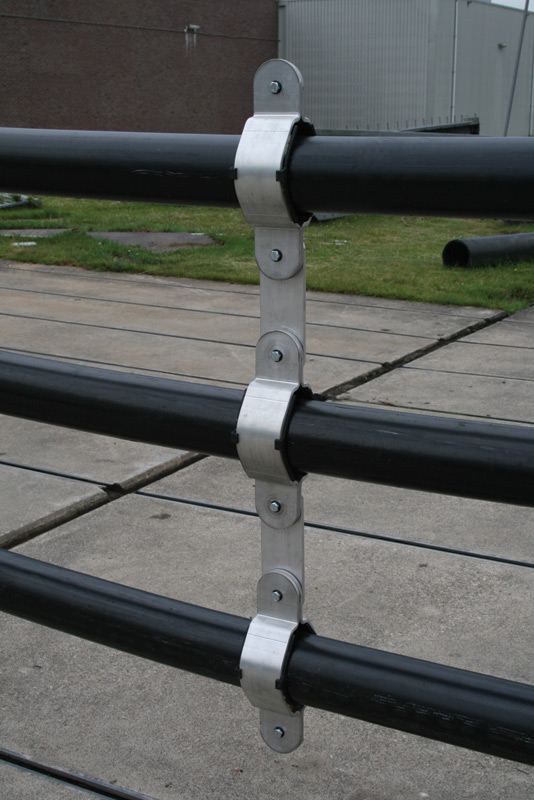 Centaur can be supplied with a variety of rigid or flexible mounting arrangements. 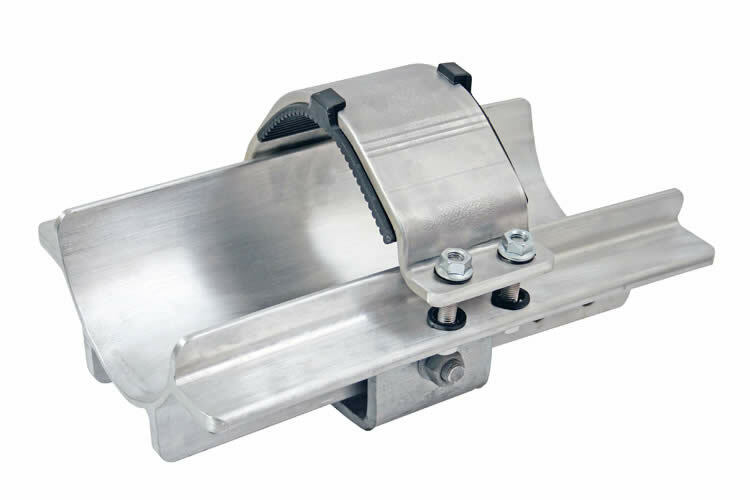 Centaur Intermediate Strap Centaur is commonly supplied with intermediate straps used to retain the phase spacing of cables between cleats and also to offer additional support for the electromagnetic forces during a short circuit. Intermediate straps have been designed, developed, tested and manufactured in accordance with IEC 61914 (Cable cleats for electrical installations) and can be supplied for various phase spacing and cable sizes. 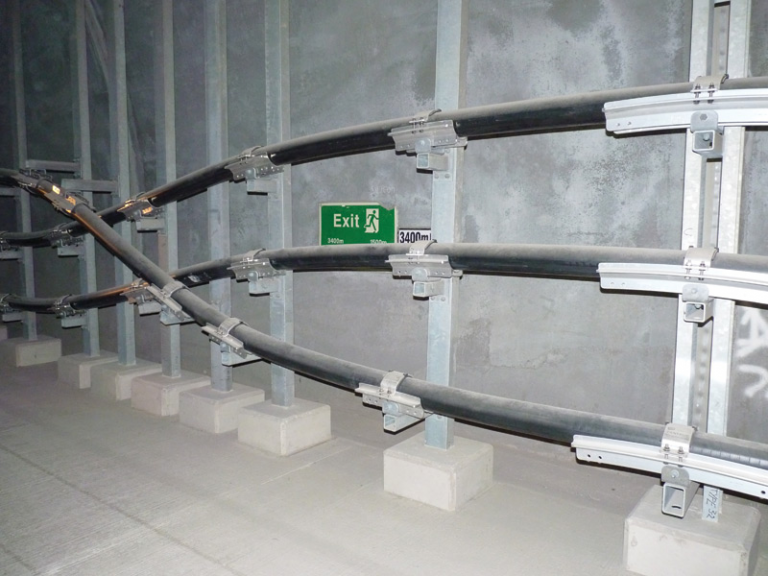 Centaur Trefoil As well as being supplied to suit single spaced cable runs Centaur can also be provided for trefoil cables. Trefoil Centaur is typically used on a per project basis and has been designed, developed, tested and manufactured in accordance with IEC 61914 (cable cleats for electrical installations). 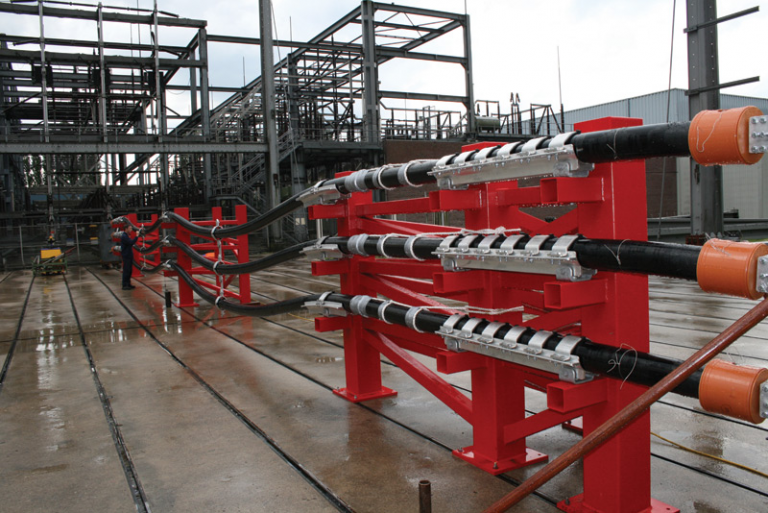 Termination Clamps The nature of Centaurs design often lends itself to flexible cable installations, where the thermal expansion of the cable is accommodated by induced sag in the cable between cleats. 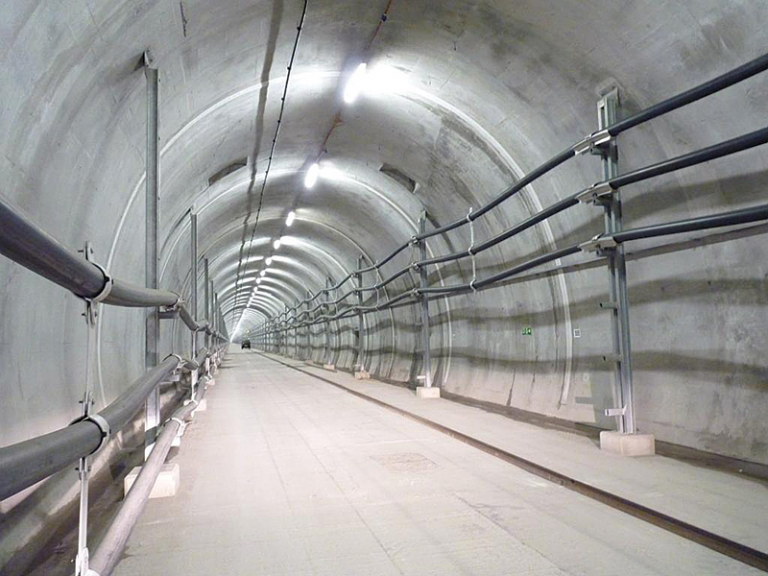 For sections of cable runs where a more rigid cleating approach is required such as joint bays, terminations and sharp corners, Ellis can also offer Termination Clamps that provide high resistance to cable axial thrust forces. 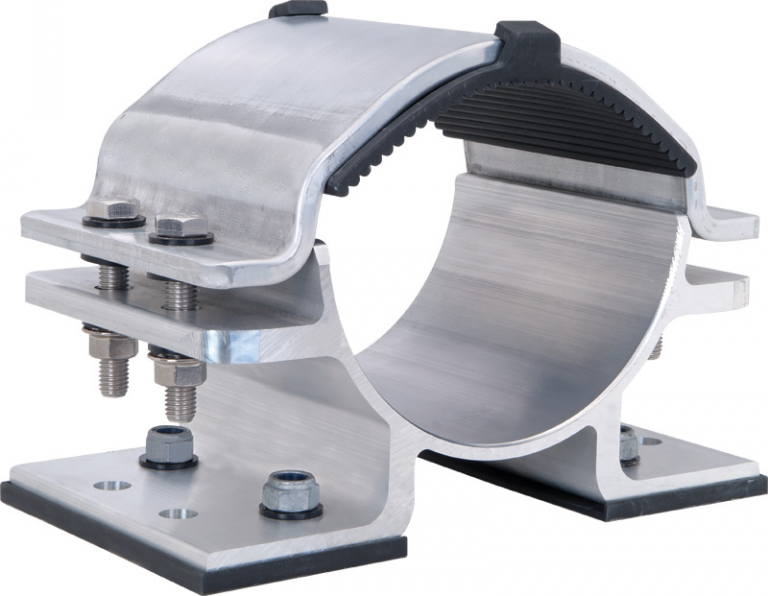 Termination Clamps are normally supplied to suit specific project requirements whereby clamp axial resistance requirements and cable specific clamp pressure limits are accommodated for in design and verified by Ellis’ in house testing facility.